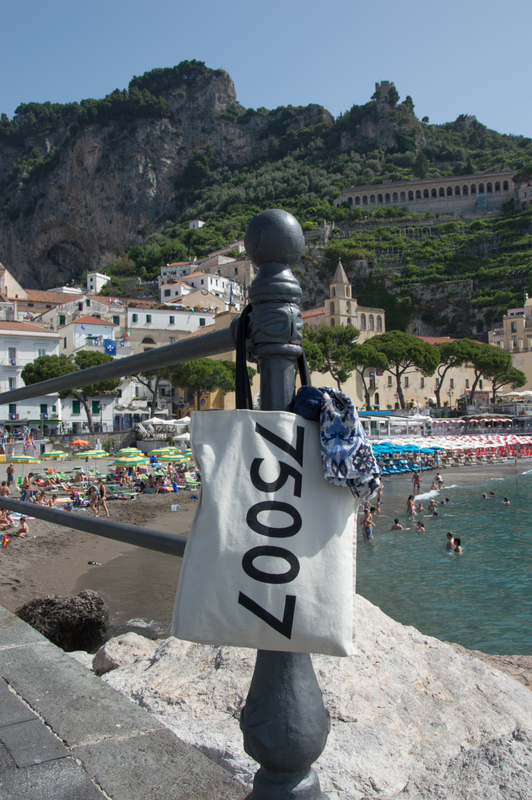 Living on the Amalfi Coast means learning to live with the Amalfi Coast Road. This twisty road—the only one along the stretch of the coastline—offers an intoxicating blend of captivating views, tight spaces and treacherous turns. For many travelers it is a lasting memory, sometimes amazing, sometimes frightening, but always memorable. 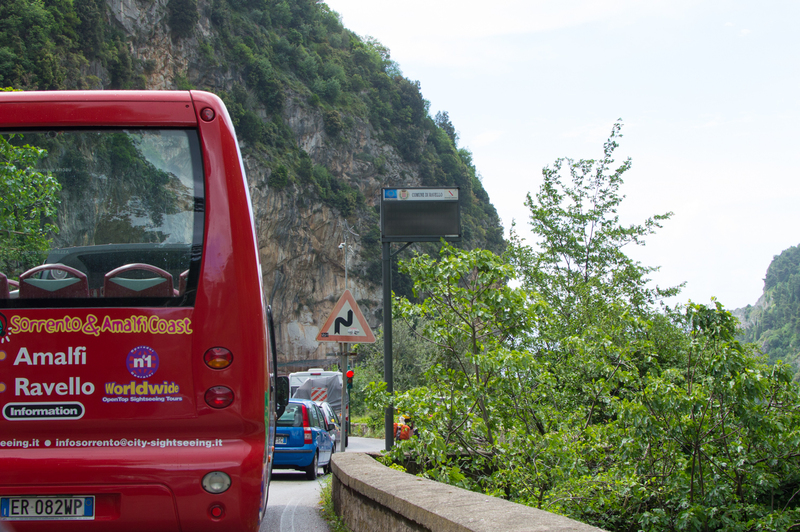 As it’s the only road, it means that getting around on the Amalfi is an adventure – for locals and visitors alike. It also means that if you plan to get around on public transport that you are in for quite the ride on the local buses. When I’m on the bus and hear gasps from first time visitors while the bus careens around yet another curve, I often think of John Steinbeck, who wrote an essay about Positano for Harper’s Bazaar in 1953 that put the Amalfi Coast on the map for many Americans. 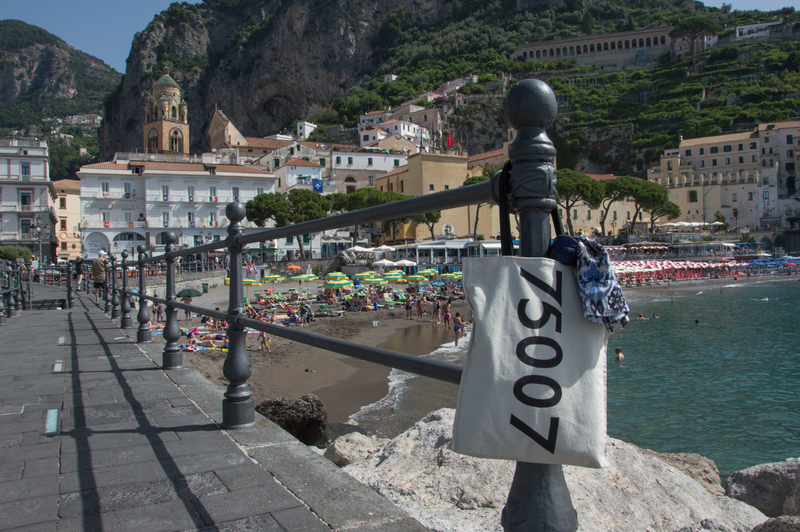 Before writing about Positano, however, he had to get there. Then just as now it was along the Amalfi Coast Road. Steinbeck arrived with his driver, “Signor Bassani Bassano, Experienced Guide – all Italy – and Throt Europe,” who gave him a good and proper introduction to driving in Italy. 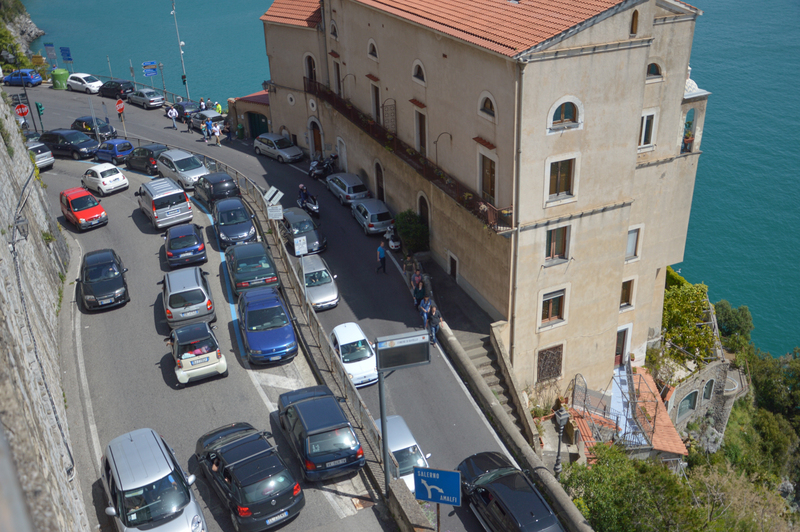 In a place as transportation challenged as the Amalfi Coast, we don’t just have “ordinary Italian highway traffic” here. 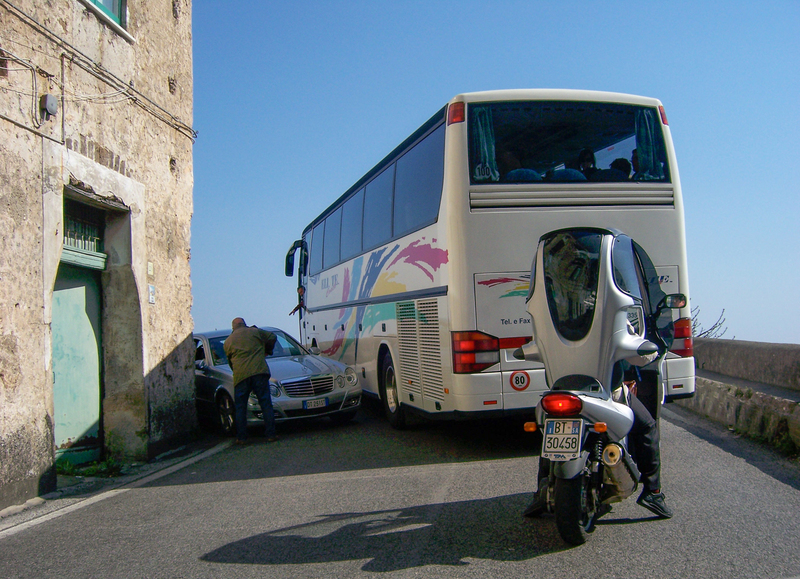 We have the cacophony Steinbeck experienced all condensed into a road, as he described it, “carefully designed to be a little narrower than two cars side by side.” Add in a zillion buses and the curves and you’ve got yourself the wildest ride in Italy. Steinbeck’s description of his first drive down the Amalfi Coast road is still one of the best I’ve ever read. While I suspect it might be a little more challenging to hit a chicken now than it was in 1953, you probably wouldn’t have to try too hard to make it possible. The bit about Sorrento always makes me laugh, which surely wasn’t Steinbeck’s sentiment at the time as he sat weeping hysterically in fear in the back of Signor Bassani Bassano’s taxi. And the poor chicken. 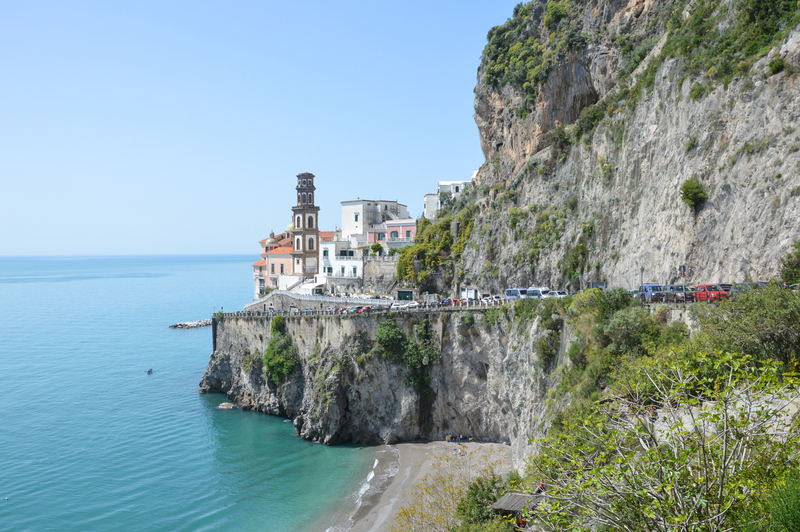 Daily life and getting around are intertwined with the Amalfi Coast Road here, and it’s no surprise that there are stories—and a lot of them—that I’ve heard over the years. 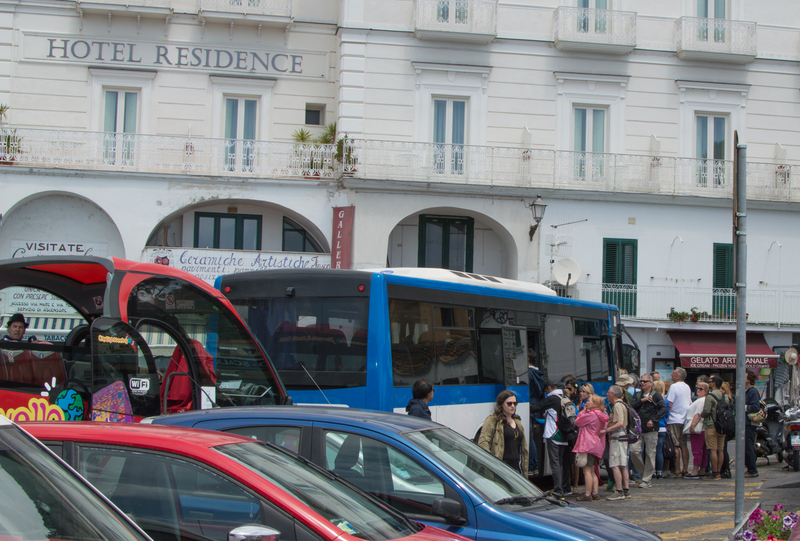 If you think that riding the bus on the Amalfi Coast makes you feel queasy now, you should hear the stories of back in the 60s when the buses were filled with cigarette smoke. When she was young, my husband’s sister would get sick to her stomach the day before thinking about the bus ride to Salerno! Or another friend who still can’t stomach alici (anchovies) after a childhood spent taking the bus through Cetara when the heady scent of alici wafting through the bus windows would combine with good old fashioned motion sickness. Bleck. Or the man in Amalfi who ages ago used to drive the bus to Naples and ran his own courier service delivering packages—and even chickens—back and forth. Again the poor chickens. While you might think it’s madness, it actually works. That’s the amazing thing. Well, besides the fact that the Amalfi Coast Road even exists. A road along the coastline didn’t exist until the 1830s when construction began. It took nearly 20 years to build, bulldoze and tunnel the road along the coastline, now officially called SS 163. Before 1850 the only way to get around the Amalfi Coast was by walking along the maze of stone pathways that connect the villages or to take a boat. Public transport? Um … your own two feet. Although you could hire a donkey to get to where you needed to go, which is what Wagner did when he visited Ravello in 1880. It’s not unusual during the summer months to still see donkeys giving a hand to visitors, but these days they’re hauling suitcases and not German composers. Getting around on the Amalfi Coast has always been an adventure. Even after the first road was built, there were still many villages that didn’t get road access even until the 20th century. In a day and age when we rather expect multiple options for public transport while traveling and precision with schedules, the Amalfi Coast is a reminder that not all places can be tamed. This is a place with an incredible natural landscape that we must adapt to in order to experience it to the fullest. So when you’re squeezed into a bus zigzagging along the coast or hauling your luggage up a long staircase, remember that it’s just daily life on the Amalfi Coast. And if you’ve got a bit of a sense of humor, like Steinbeck, it’s also part of the fun. 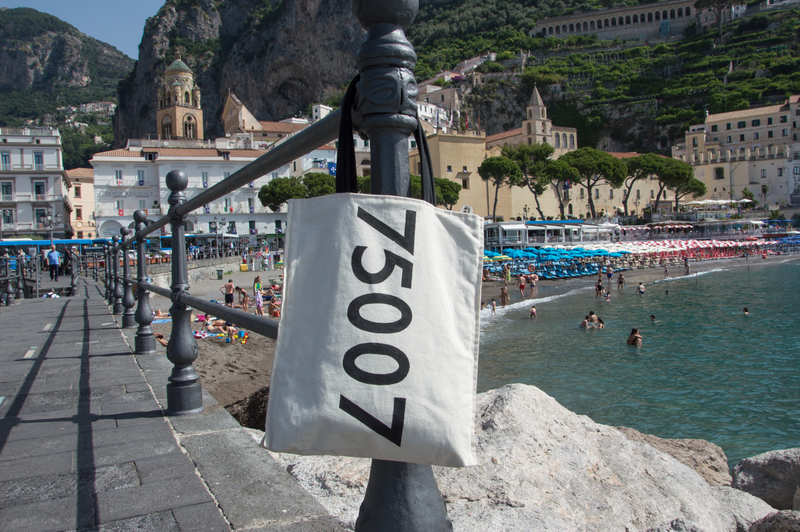 You’re taking part in a long tradition of traveling on the Amalfi Coast. Just pack your patience, some good motion sickness medicine and get ready for an adventure! 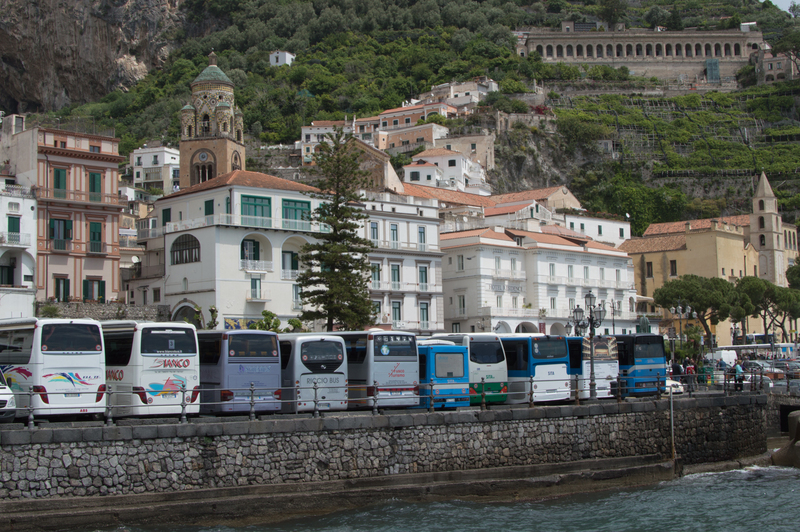 PS: Planning on getting around the Amalfi Coast by bus? The local SITA bus company has just been released the summer schedule this week, and timetables and routes can be found at their website www.sitasudtrasporti.it. For a more comfortable ride with audio commentary available in multiple languages, consider the City Sightseeing buses. 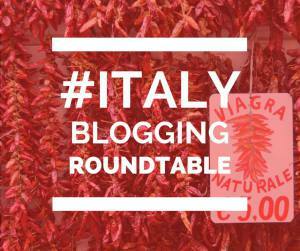 I’m pleased to be joining a wonderful group of Italy writers in a monthly series called The Italy Blogging Roundtable. Every month we write about a theme, and you can read about this month’s topic – Public Transport – at the links below. We’d love to hear your thoughts and comments. Please share the stores if you’ve enjoyed them! It’s one thing to be from a place and another to love a place. But what happens when those two things blend into one? 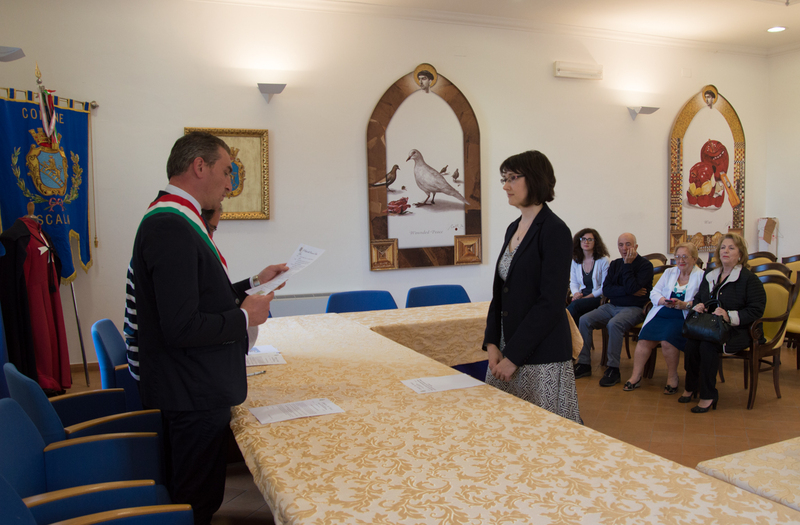 I’ve been pondering those sort of questions and feelings recently leading up to the day of my Italian citizenship ceremony. 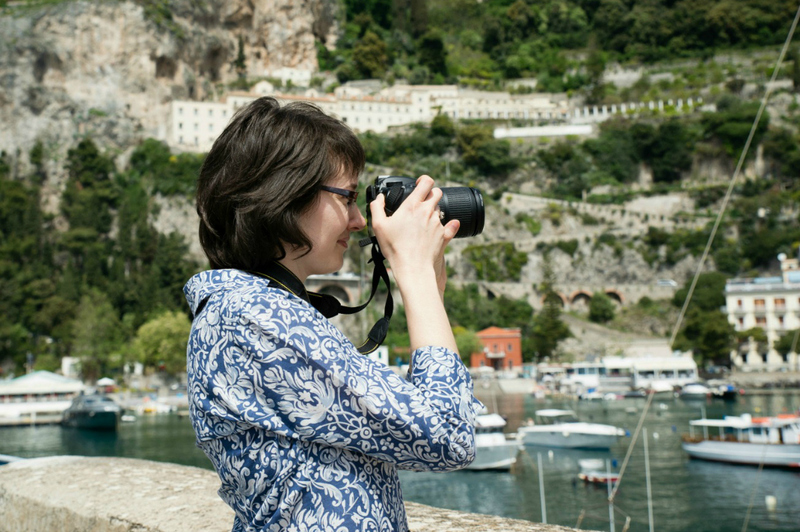 An exciting and emotional experience that has made the Amalfi Coast feel even more like my home! 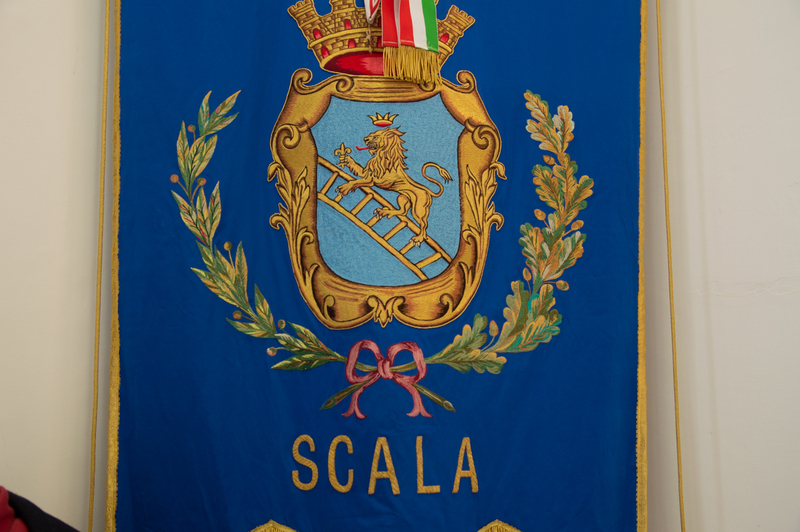 The ceremony took place in Scala, and for some of you reading this might be the first time you’ve heard of Scala. It’s my little hidden gem on the Amalfi Coast and the place I’m very happy to call home. 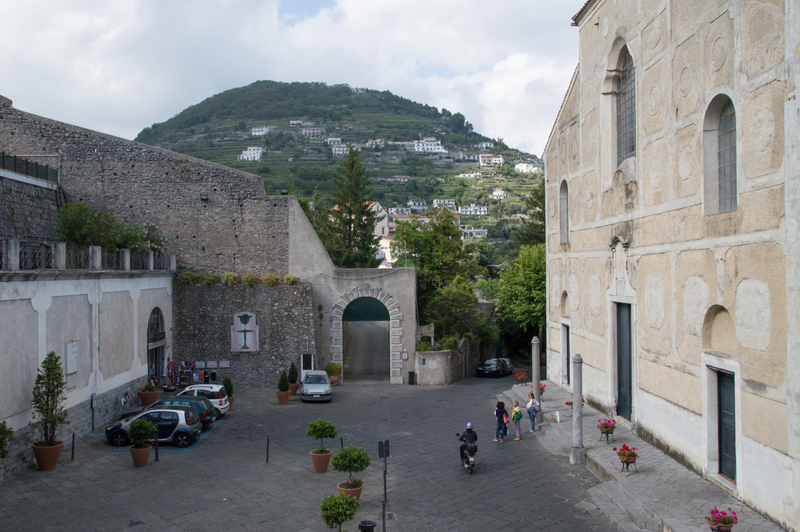 It’s a small town, considered the oldest on the Amalfi Coast, located in the mountains above Amalfi and just across the valley from Ravello. The Comune, or city hall, of Scala overlooks the central square of town, just across from the Duomo and next to a new terrace with incredible views of the Ravello. After four years of waiting (a mandatory two year waiting period after the wedding and then about two years of processing time), all of the paperwork was finalized in Salerno for me to become an Italian citizen. The final ceremony takes place in the city hall where you are a resident. 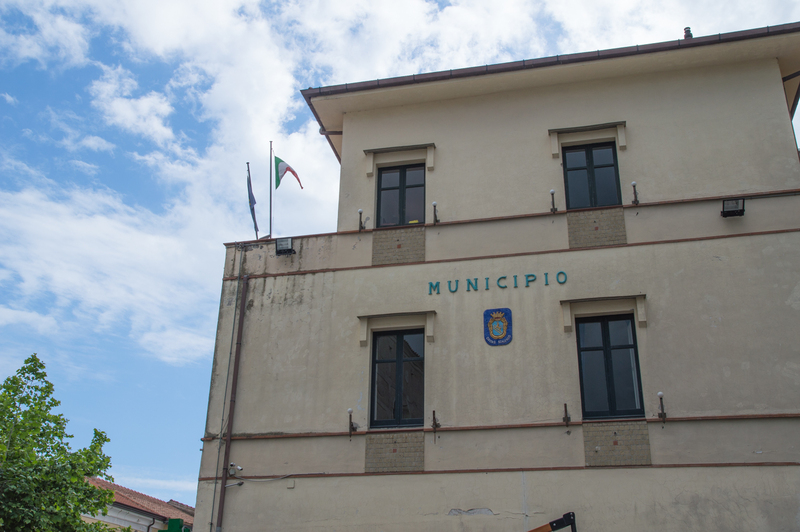 There ceremony was presided over by the mayor of Scala, Luigi Mansi, and took place in the city hall’s large reception room. While the ceremony itself is relatively short, it was beautiful in its symbolism and meaning to me. It’s hard to put into words what it felt like – and it’s still sinking in! Then, of course, there are all the papers to sign. And … that’s it! A piece of paper doesn’t even come close to being able to contain all of my enthusiasm and emotions for becoming an Italian citizen. I look at that piece of paper every day (yes sometimes several times a day) and it feels just a little bit more real every time. What really made the day special was my husband’s family coming to the ceremony and celebrating with us. 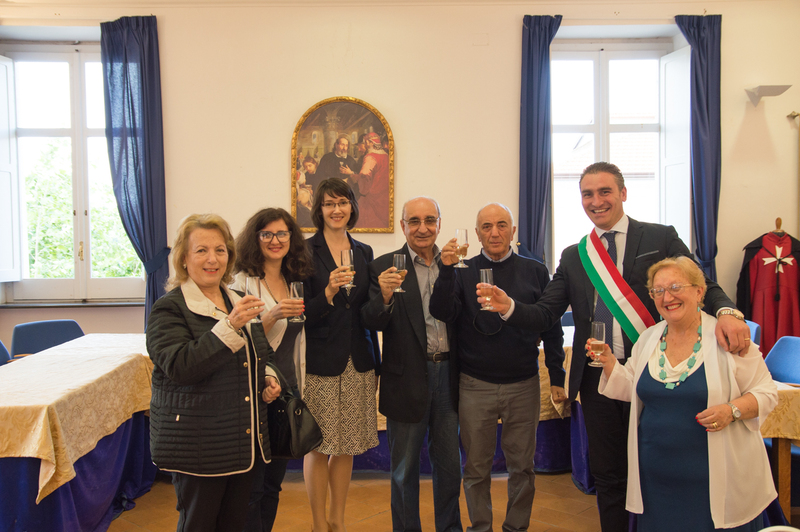 I couldn’t imagine my life here – my Italian life – without their support and love. Whatever the piece of paper says, they’ve already made me feel Italian! 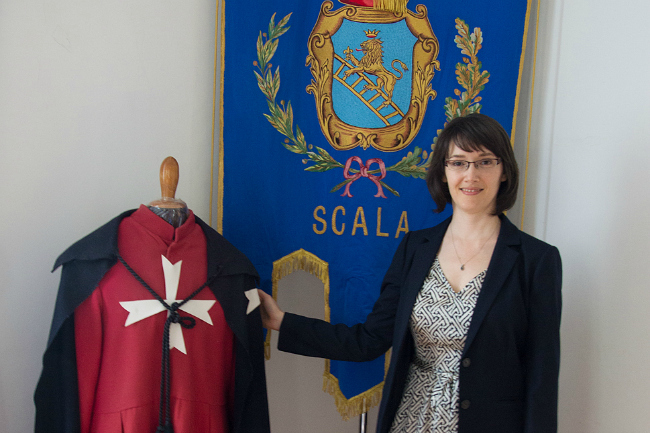 Thank you to the city hall of Scala and everyone who made it a very special day and experience for me. I’m proud to be an Italian citizen and grateful to have such a beautiful place to call home on the Amalfi Coast!